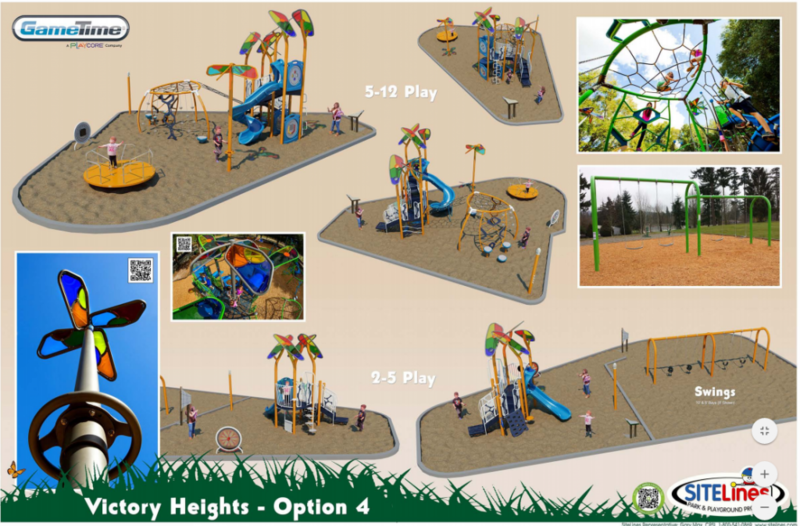 The project includes a renovated accessible playground and features new play areas for ages 2-5 and 5-12 complete with new slides, net climbing elements, swings, musical instruments, a merry-go-round, and a deluxe coupe car climbing element as requested by the public. The improvements will also include a new accessible ramp, new sand play area, new seating areas with pervious pavers, and new half-court basketball. Three additive items include a new loop path around the open field, and two additives for field drainage improvements. Once they get bids, they will know if they will be able to accept these improvements. If you want to track progress, check here. I live in the Pinehurst neighborhood (120th and 17th) and have noticed a huge increase in airplanes over my house since Sept. 2018. I have done some research and have found we are on SeaTacs flight path as planes go into land. It is called next generation and it is a satellite based where the planes line up and constantly go into land at SeaTac. Has anyone else noticed this???? Some days I have counted over 40 planes a hour over my house!!! Can anything be done about this?? ?